Red Dead Redemption 2 features an absolutely huge map, and this guide will show you how to unlock the full thing. The map of Red Dead Redemption 2 is not only huge, but it starts out completely covered by a fog, so you've got no idea where you're going. In this Red Dead Redemption 2 map guide, we'll be providing you with a complete overview of the whole map of Rockstar's game. If you instead need any additional details on Rockstar’s prequel, you’ll want to head over to our Red Dead Redemption 2 guides hub. Here you can find beginner’s tips and tricks, and a list of our additional guide pages. It goes without saying that Red Dead Redemption 2 is a massive game, and so too is the map. At the very beginning of Arthur Morgan’s grand adventure, you’ll start out in the very north of the map, in the Spider Gorge area pictured just below. After this, you’ll be allowed to journey further south, down through Amberino and New Hanover. These two regions, plus Lemoyne, make up the northeastern section of Red Dead Redemption 2’s map, which is basically half the game. 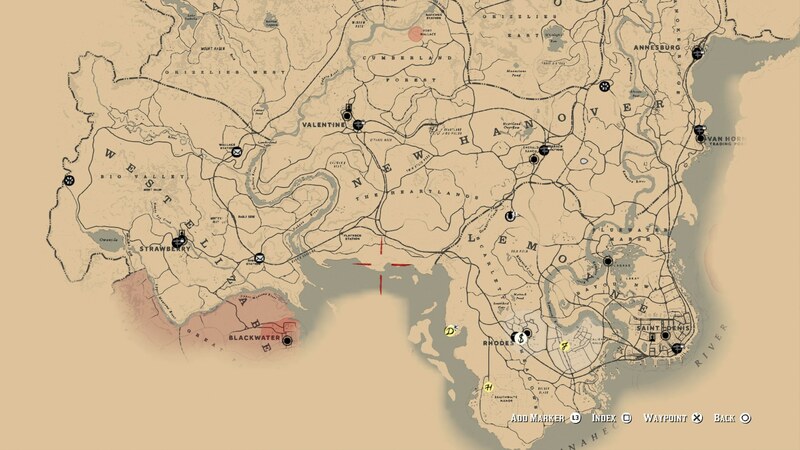 The map of Red Dead Redemption 2 doesn’t extend further south of Lemoyne, but instead goes west into West Elizabeth. 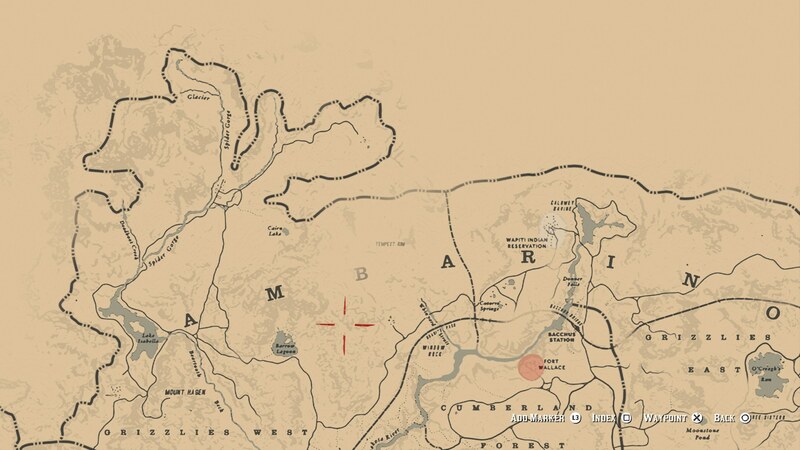 This is where Blackwater, and other locations from the original Red Dead Redemption can be found, but this area is locked off in the first section of the prequel, after the failed bank robbery in Blackwater. As you can see, the map of Red Dead Redemption 2 is huge. Don’t expect to unlock the West Elizabeth region for a good while, and we’d recommend taking your time to see all that the first area in the northeast has to offer, before venturing into Blackwater and West Elizabeth. Unfortunately, Mexico doesn’t feature in the map of Red Dead Redemption 2, and we’re confined to the northern part of the border regions. 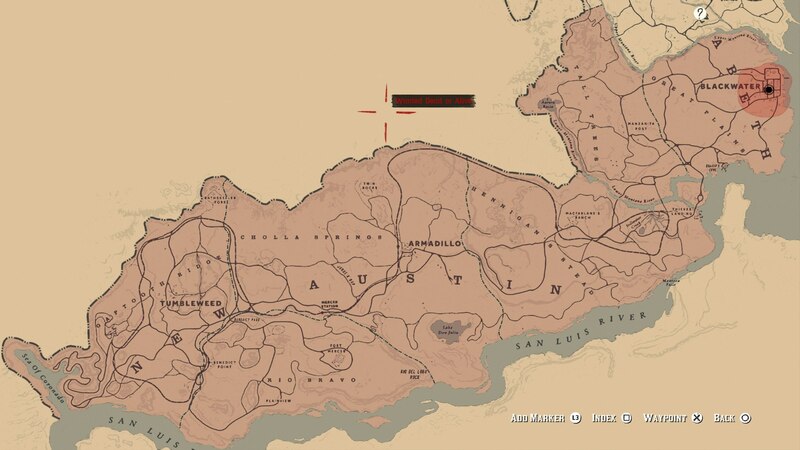 Just below, you can see the whole West Elizabeth/Austin region of Red Dead Redemption 2. It's this area that you're prohibited from going into by the law for the vast majority of the game, and it's going to be a good while before you can unlock it without being wanted either dead or alive whenever you set foot there. Although you can unlock the full Red Dead Redemption 2 map by gradually progressing through the game, there is a cheat code that allows you to unlock the full map in one go. Once you've completed the 'Blood Fueds, Ancient and Modern' mission during Chapter 3, you'll have the opportunity to purchase the map just below in Saint Denis, which is the no. 47. 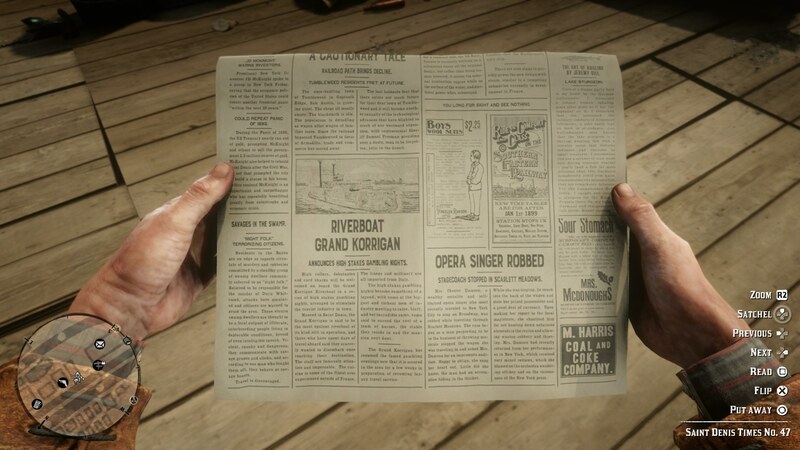 Once you've purchased the Saint Denis Times no. 47, you can enter the text 'You long for sight but see nothing into the cheats section of the Red Dead Redemption 2 menu. This unlocks the full map for you in one go, and for all other cheat codes in the game, head over to our Red Dead Redemption 2 Cheats guide. Now that we’re all done with this overview guide to the map of Red Dead Redemption 2, you can continue ahead to our additional guides on the game. Check out our Red Dead Redemption 2 Bounties guide, or our page on how to earn money quickly in Red Dead Redemption 2.